Trendy bar and restaurant in Durban/Umhlanga with bespoke GT’s. 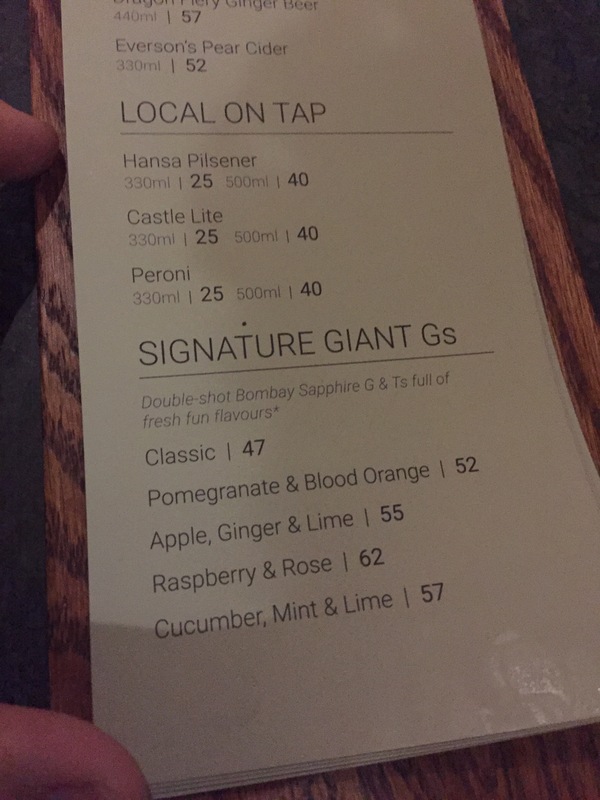 It’s a gastropub, which means the drinks list is pretty comprehensive. The craft beer and cocktail offering is impressive as are the wines.